In order to pull off the biggest beer merger in history, Anheuser-Busch InBev was always going to have pay a price. As part of its $107 billion takeover of SABMiller, AB InBev said Wednesday the merged group would offload a bunch of big beer brands to Molson Coors (TAP). Molson is paying $12 billion for SABMiller (SBMRF)'s stake in their MillerCoors joint venture, gaining full control of Miller Lite, Coors Light and Blue Moon in the U.S. Antitrust regulators are likely to put the AB InBev-SABMiller mega merger -- formally announced Wednesday -- under a microscope. The concern is that the combined company will wield too much power in key markets, resulting in higher beer prices for consumers. One way to appease the U.S. Department of Justice is to sell assets in the country. Regulators had previously compelled AB InBev (BUD) to shed some of its ventures following its bid for Grupo Modelo in 2013. Before that deal could be approved, Modelo's U.S. assets -- including Corona -- were sold to a smaller rival. InBev said in a statement that the sale is conditional on its acquisition of SABMiller, which it plans to complete in the second half of 2016. 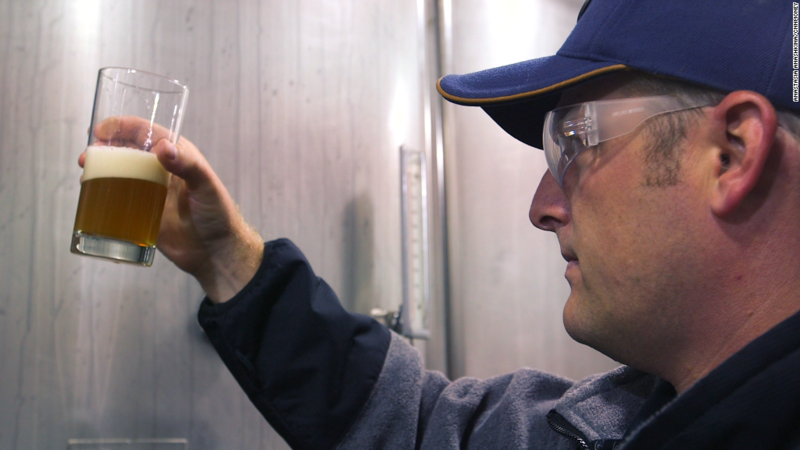 "SABMiller has been an excellent partner for the past seven years and we are extremely proud of the organization that our teams have created," said Mark Hunter, president and CEO of Molson Coors. "We have a deep passion for and understanding of the MillerCoors brands, strategy and culture and believe this transaction is the ideal outcome for this business."